The decision to end the forestry consultation will not lead to cuts to the budget for flood defences, animal health or any other area. The myth: The Sunday Telegraph suggests that the decision to end the consultation on forestry sales will mean budget cuts in other areas such as flood defences, animal health and national parks. The truth: The decision to end the forestry consultation will not lead to any further cuts to the Defra budget for flood defences, animal health or any other area. 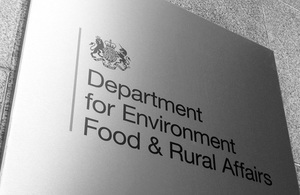 As this was a consultation, no potential sales were factored into the savings required to meet our Spending Review settlement, and therefore there will be no impact on Defra’s spending plans in other areas.